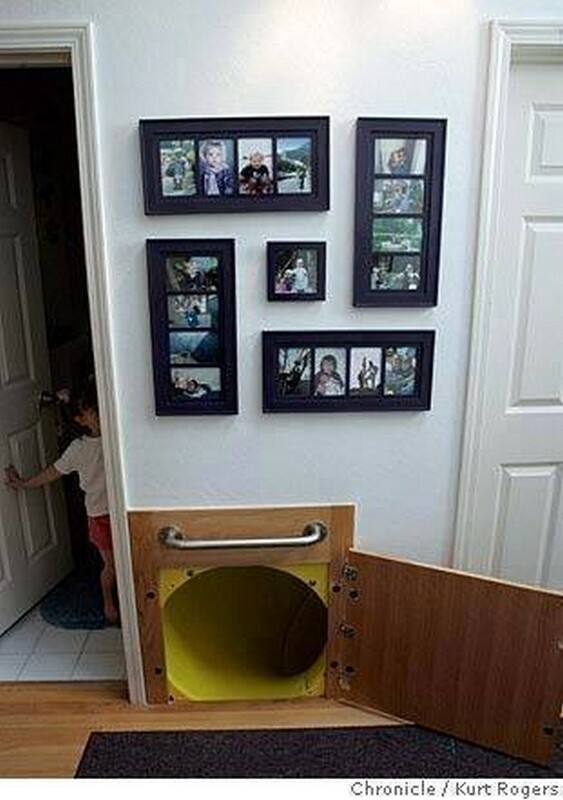 Ok, today we have come up with a unique idea where we are going to make you guys familiar with certain designs and ideas for making the creative secret doors and drawers idea which are going to stay hidden from the vision of the visitors and certainly the intruders. So they are going to be the best place to save your valuables, cash and jewelry including other expensive stuff. 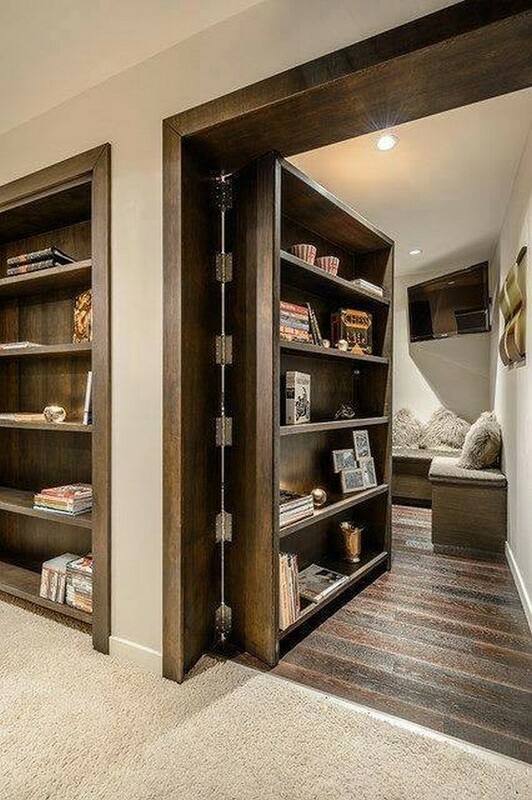 So now you don’t want to pay for the expensive bank lockers and do the job right at your home without any external support. 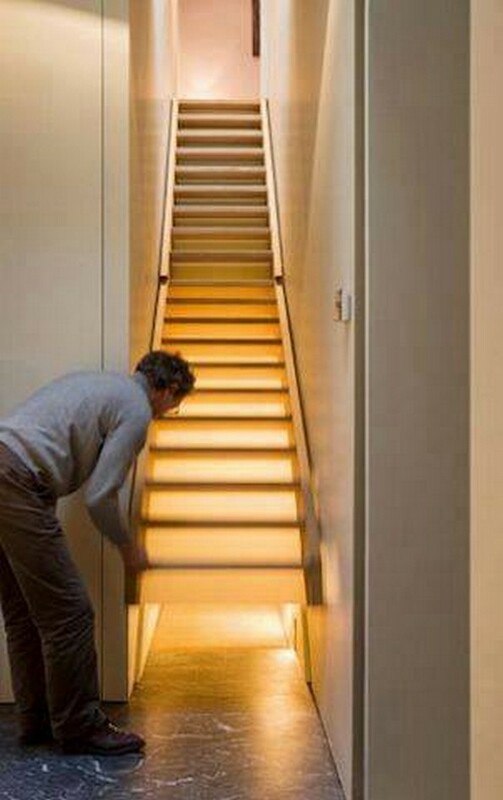 First of all this congested tiny little passage way where a wooden ladder is leading to the first floor of the house. This wooden ladder is actually not fixed but it is removable that can be removed very easily. 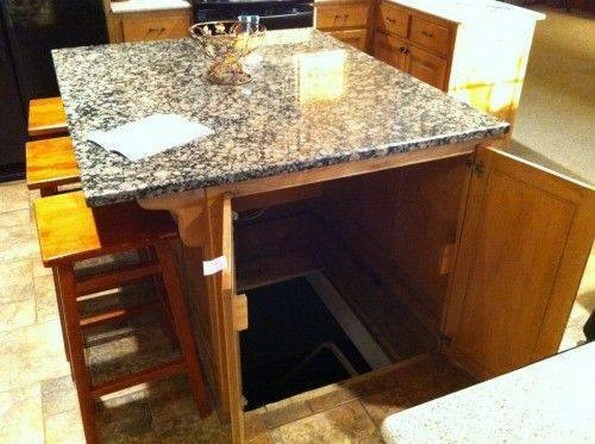 But this is a secret that only you know, so use the space below for the preservation of the valuables. 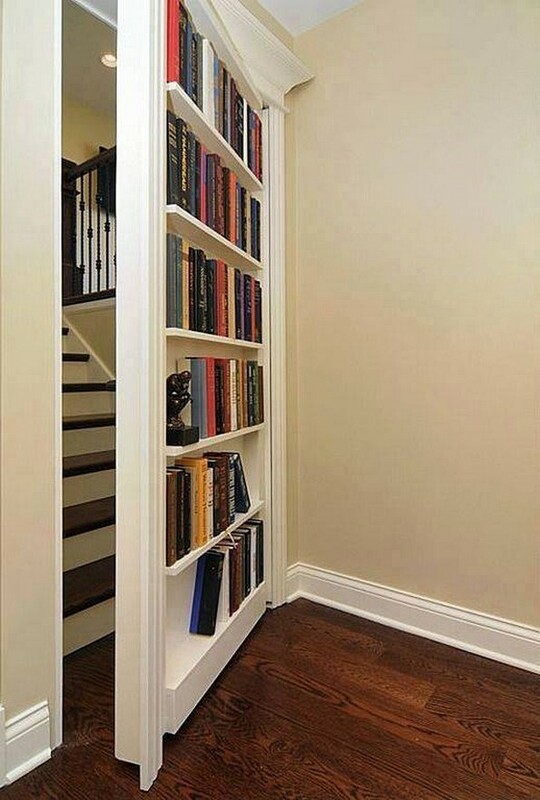 The next one is a door that has got ample space on the back where a lot of books can be stuffed inside meanwhile the books would be hidden from the vision of the common visitors. Preserve your thesis or research notes here that are worth being saved in such a secret manner and need to be prevented from the common public. This removable door leading to the lobby is also having a lot of space. 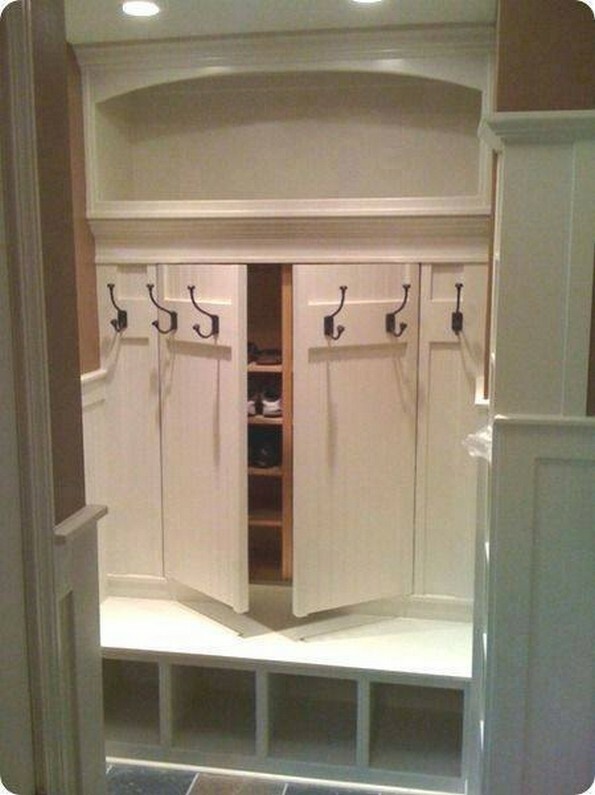 Each portion of the door or the cabinet is designed in such a manner that a lot of stuff can be placed in here. Apparently this seems to be a wall wooden shelf that is fixed in the wall. 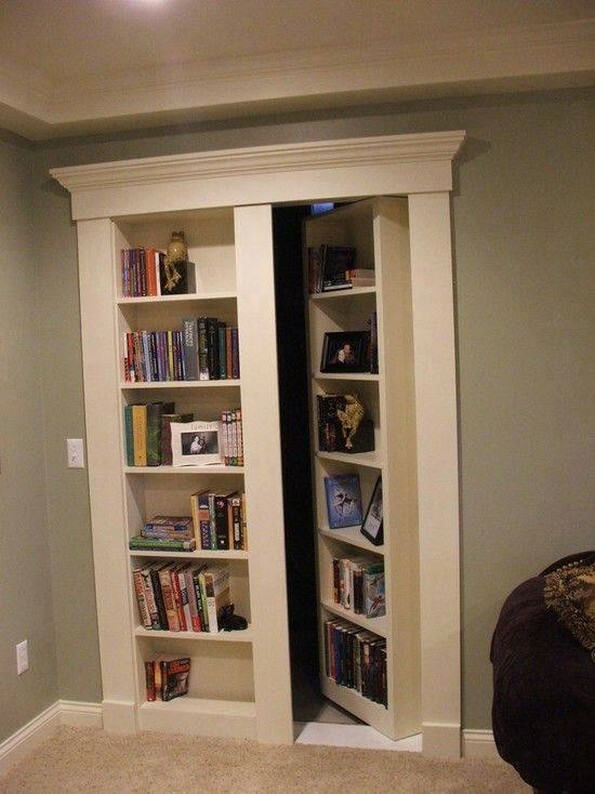 But actually this is a secret room door that opens inside the other room which is all at your disposal where you can hide all of your stuff that you don’t want others to see. Who exactly would have know that there is a whole world hidden behind this gigantic scenery or painting. These hacks and secret spaces remind me of the movie Olympus has fallen where similar secret hacks are shown in the white house. And now what about this common wall rack, do you really think that this is a plain wooden wall rack which is meant to be used just as a common carrier of your immediate accessories? If you think so then you must be naïve or otherwise you haven’t been through to this cunning article which is making you guys familiar with all of the secret manners that can be adopted. 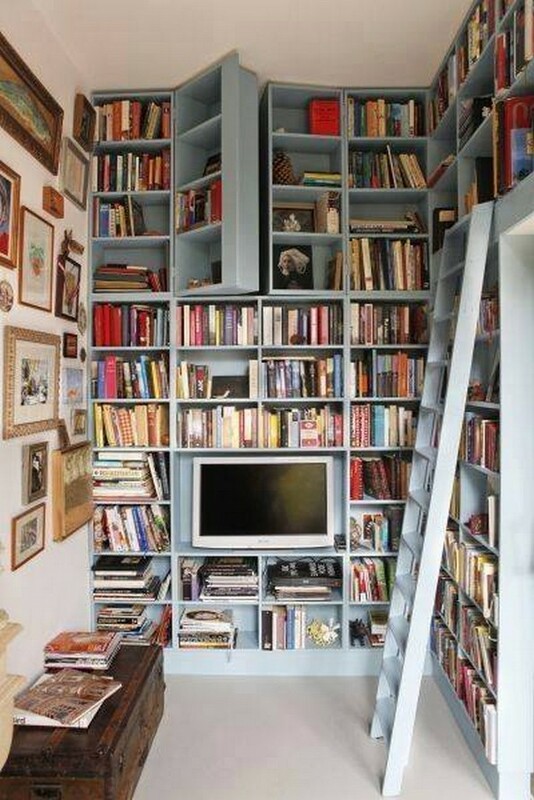 This study was also supposed to be a common study room where we can see the bunch of books all around. But it was only you who knew that there is a whole long passage way behind this. 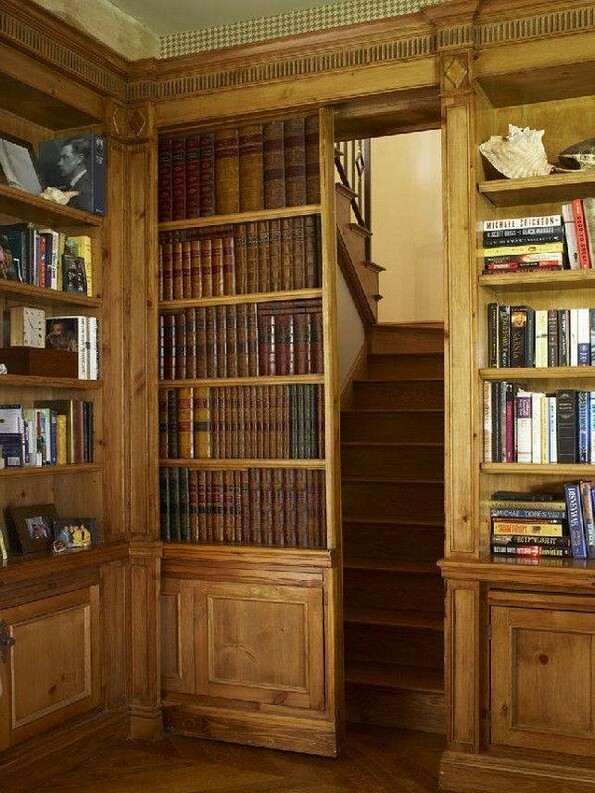 Lastly look at this secret vintage door that is a whole wide passage way to the other secret room. But until it was closed, nobody could have even a minor idea about this smart hack. 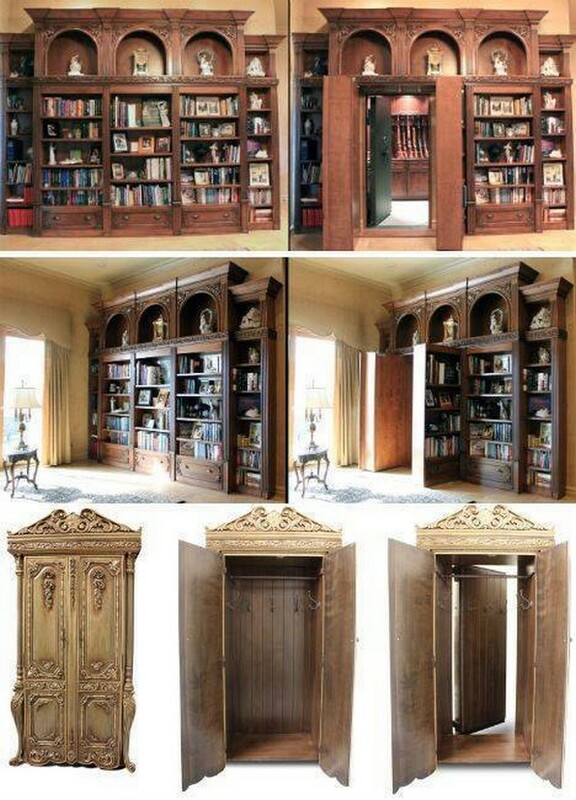 These secret doors and drawers are meant to provide you with the expected security of your certain valuables.